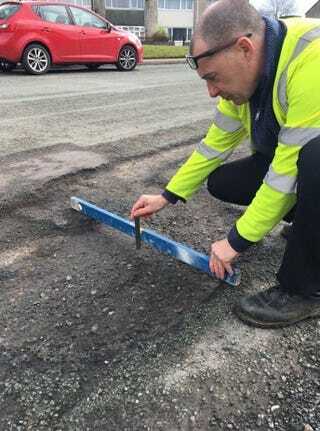 In a deleted Twitter post from Cheshire West earlier this year, “Darren” demonstrates why some potholes don’t need to be patched. Met with instant backlash, the tweet was briefly defended by @Go_CheshireWest before being taken down. But the internet never forgets, and his questionable method is preserved for all to see. Cheshire West left a similar tweet up, one that cast Darren’s method in a more favorable light and promised to repair a different pothole. This gave Twitter users a place to respond to the deleted tweet, where you can find more hilarious memes. Click through the embed below to view them.